Staying informed about national issues helps ensure that The Brod Law Firm team provides top-quality services as your San Francisco law firm. One of our focal areas is protecting Northern Californians harmed by Pacific Coast oil spills or by other oil and gas industry accidents. We represent individuals and also serve as plaintiffs’ class action counsel in a range of industry and toxic tort matters in the Northern California region. As such, we have an interest in the developments of other claims involving other localities. A recent dispute, highlighted in the Chicago Tribune, has been brewing over the funds intended to provide reparations in the wake of the Gulf Oil Spill. On July 6, 2012, President Obama signed the RESTORE Act into law directing that a minimum of eighty percent of the penalties paid pursuant to BP’s proven violations of the Clean Water Act will be earmarked and used in a trust fund to restore the five coastal states damaged by the Deepwater Horizons . The included states are Alabama, Louisiana, Mississippi, Florida, and Texas. The Clean Water Act funds, as proposed in the initial RESTORE Act, would go to the U.S. Treasury. Per the Act’s provisions, anywhere from $4 billion to $16.8 billion dollars would then pass on to the Gulf Coast States. 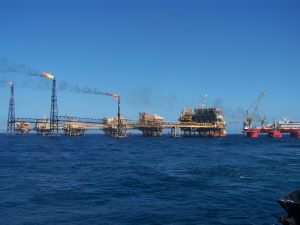 In more recent conversations, the U.S. Department of Justice and BP have discussed a different settlement that might result in significant changes to this plan. While details remain limited, reports suggest that the Justice Department and BP are looking at terms that would increase the portion of the penalties assessed via the Oil Pollution Act. The change would also minimize the portion of the fines attributed to the violations of the Clean Water Act. Monies collected for violations of the OPA would be earmarked for the Natural Resource Damage assessments. This shift means that the federal government, not the impacted states themselves, would be given the final say on what forms and degree of environmental damages would qualify for payment. Furthermore, fines under the OPA receive more favorable treatment from the U.S. tax code, giving BP a significant tax write-off. A bi-partisan group of Senators have expressed significant concerns about the developing DOJ settlement terms. Senators from several Gulf County States urged the President to ensure that any settlements stemming from the Deepwater Horizons tragedy did not significantly undermine the agreed upon law. The legislators criticize the rumored DOJ agreement for circumventing the plan developed by Congress and signed by the President. One lawmaker cited specific counties with planned recovery projects that might not come to fruition if the new agreement alters the allocation of the fines. The legislators also criticize the plan for giving BP a tax break that could save the company millions. Although this debate centers on funds allocated to government entities for violations of law, developments in oil spill law may also impact future claims by individuals and companies. These funds may come via government awards or civil lawsuits. We represent individuals impacted by Pacific Coast oil spills and similar accidents involving San Francisco oil and gas companies. We vow to stay informed about all aspects of this area of law so that we can help ensure our clients are fully and fairly compensated for their losses.